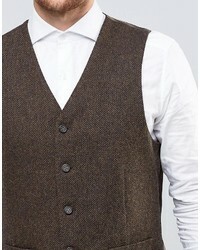 For a smart casual ensemble, try pairing a Gianni Feraud Heritage Premiun Wool Brown Herringbone Vest with black chinos — these pieces play pretty good together. 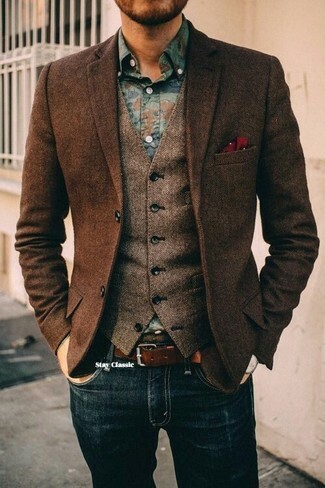 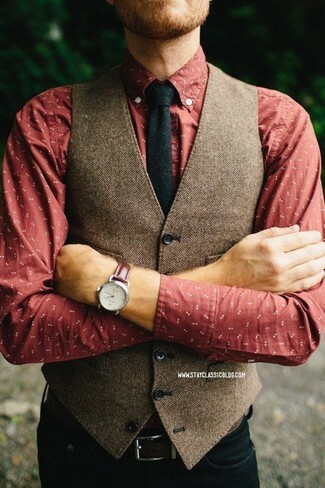 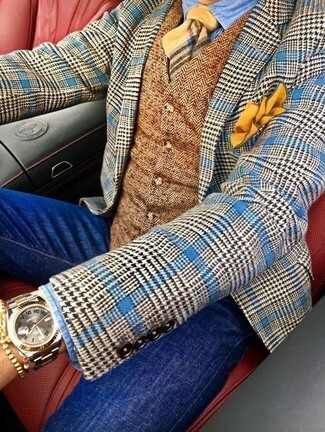 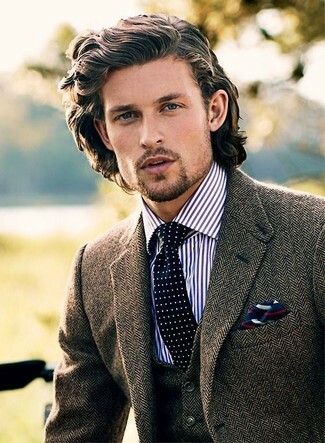 For a smart casual getup, consider teaming a Gianni Feraud Heritage Premiun Wool Brown Herringbone Vest from Asos with blue skinny jeans — these items play really well together. 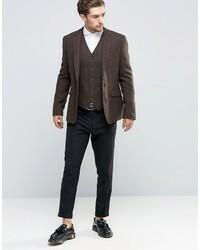 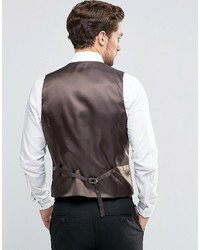 For a nothing less than incredibly stylish look, pair a Gianni Feraud Heritage Premiun Wool Brown Herringbone Vest from Asos with a brown herringbone wool blazer. 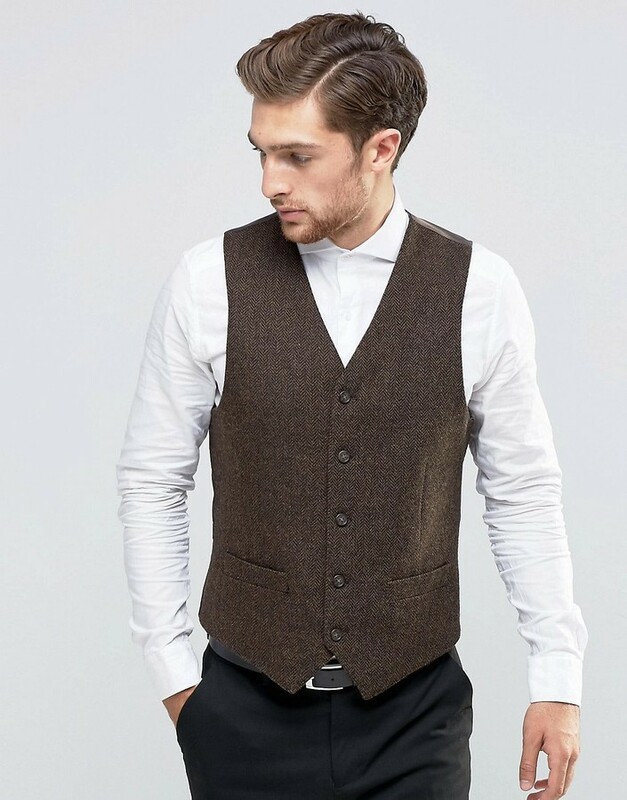 This pairing of a brown herringbone wool waistcoat and black jeans is so easy to make up in seconds time, helping you look stylish and ready for anything without spending too much time rummaging through your collection. 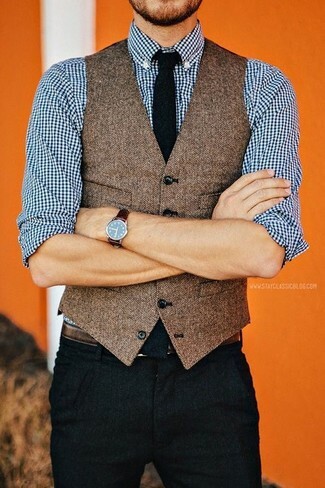 This pairing of a brown herringbone wool waistcoat and navy jeans is very easy to put together in no time, helping you look awesome and ready for anything without spending a ton of time going through your collection.